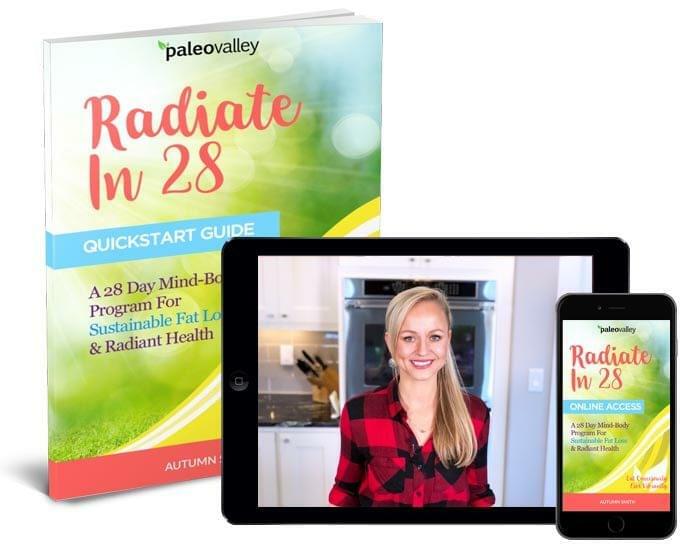 Discover the Closest Thing to a ‘Factory Reset’ Your Body Will Ever Experience with My Radiate in 28 Program – Yours for 50% Off Today! If you answered “Yes,” you’re probably suffering from nutrient deficiency – the unseen culprit behind many of our most debilitating issues. That means more than likely, you’re living with low energy, unwanted pounds or even worse conditions – and they’re all completely unnecessary because nutrient deficiency is reversible! You don’t have to walk through life feeling less-than-stellar, but so many of us do because we simply don’t know what to do about it. That’s why I created my ‘Radiate in 28’ program – to give you a simple solution to nutrient deficiency that garners results in less than 30 days. Reclaim Your Health With Radiate In 28 Today! Nothing will be rebilled on this offer, ever. Just pay a ONE-TIME charge. You get 50% off today plus the Quickstart Book ships free when you order today. You'll even get free shipping! 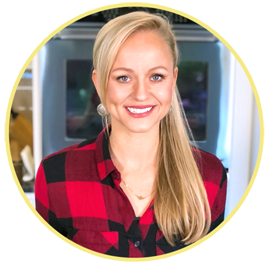 My name is Autumn Smith – Former Celebrity Fitness Trainer turned Holistic Nutritionist, Certified Eating Psychology Coach, and Author. Maybe you’ve heard something similar? That type of textbook answer didn’t sit well with me or my husband. That’s when we took charge of our health and began learning everything we could about the human body, the many delicate processes involved and what it needs to function at its max potential. We implemented a new lifestyle focusing on reversing nutrient deficiency, and within 30 days my nearly lifelong battle with digestive pain was GONE. As a personal trainer for A-list celebrities, I saw what worked in Hollywood – and what didn’t. The diet fads, the weight loss pills, the ‘give me your money’ gimmicks. You don’t need any of it. What you do need is to give your body the nutrients necessary to heal, and in turn, function properly. But with all the vitamins, minerals, fatty acids, proteins, etc that we need to thrive, balancing it all can seem an overwhelming task to conquer. That’s why I created this program in a simple, easy-to-follow manner. in a simple, easy-to-follow manner. 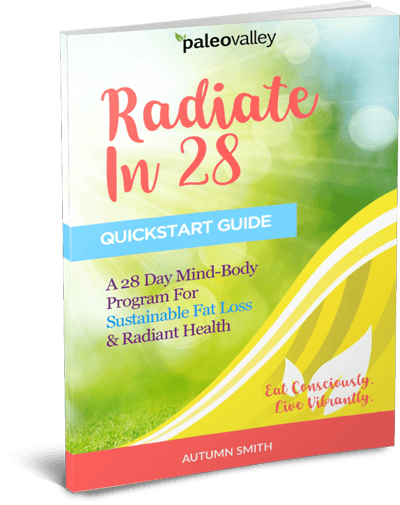 'Radiate In 28' Quickstart Book...get started on the program and seeing results fast. Perfect for busy people! And I'm shipping it to you FREE! Delicious Meal Plans... you'll get 28 days of amazing meal plans so you don't ever have to worry about what's for dinner. The whole family will love these! Access To The Online Program with nutritional health videos where you'll discover the nutrient-rich superfoods to start eating to tell your body to release fat. Community Support... you'll get access to the private Radiate In 28 Facebook group. Get support, accountability, share recipes, and watch tons of health videos by me. Ships within one business day... I don't want you to have to wait for your Quickstart book. So along with instant access to the online program, your free book will ship out right away. But don't wait - supplies are limited! You’ll learn which foods to avoid and which to focus on in order to minimize deterrents and maximize results. You’ll discover how to tame cravings, how to boost your mindset and so much more. Most wellness programs have a very narrow focus. 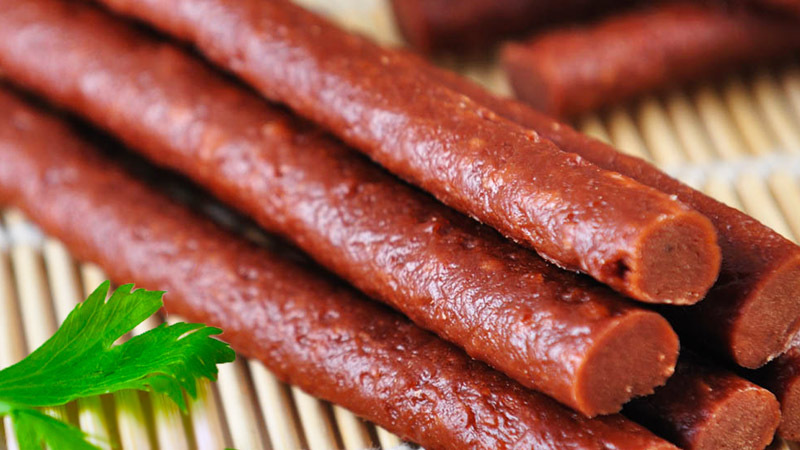 They’re all about removing fat, adding protein, eliminating sugar or reducing carbohydrates. They generally only focus on what you're eating when there are many other factors that affect your health. A one-stop-shop or narrow approach will NEVER work for long-term health because we are such complex and dynamic individuals. Radiate In 28 contains a multitude of dietary AND lifestyle strategies that can help you feel better than ever! Because most of us are overfed and undernourished, increasing the nutrient density in your diet is a powerful place to start. Why Is Nutrient Deficiency Such a Big Deal? When pursuing my Master’s Degree in Holistic Nutrition and in the years since, I’ve poured thousands of hours into research and analysis of scientific studies. On top of that, I’ve interviewed some of the most renowned experts in the health and wellness field. The common thread that reveals itself in virtually every disease and ailment is nutrient deficiency. To be clear, I’m not just talking about everyday aches, pains and fatigue. Study after study shows that when nutrient deficiency is left unnoticed and untreated, it can escalate into more serious, even life-threatening diseases such as cancer, heart disease and autoimmune conditions. It’s not your genetics, and it’s certainly not for lack of trying…you've probably just been given the wrong information. No matter how many calories you count or treadmill runs you do, it’s all for nothing if you don’t also address the other factors behind these conditions. One such factor is leaky gut – an epidemic sweeping the nation that’s a much bigger problem than most of us realize. It’s the sad result of years of poor diet, bacteria imbalance, toxins and chronic stress. With leaky gut, your intestines become dangerously permeable, allowing toxins, microbes and food particles to “leak” into your bloodstream. This condition keeps the body from absorbing nutrients properly, making an already detrimental nutrient deficiency all the more dangerous. It’s a vicious cycle that’s perpetuated too often by misinformation. But You Can Break That Cycle Today. Countless others have already experienced life-changing results. "Radiate 28 changed my life...my body has never felt better, cleaner, and lighter. Prior to going through this program I couldn't function...I also felt full and bloated all the time. After the program I have more energy than I've ever had, my digestive issues are gone, my skin is clearer and I lost over 10 inches! I feel more present in relationships and conversations and my mind feels so much clearer. I didn't realize how much what I eat and drink impacts my body and mind. I'm so grateful that this program exists and that I was able to find health and be more in tune with my body." "Radiate in 28 has drastically changed my life. Since being diagnosed with EOE (eosinophillic esophagitis), I've struggled with finding the right eating plan that doesn't hinder my lifestyle. Radiate in 28 has helped not only keep my symptoms at bay, I've also lost weight, my skin is brighter, and I feel great! Thanks to Autumn for changing my life!" "The Radiate in 28 program has changed my life. I didn't think going 'paleo' could be so easy. Autumn has thought of everything. The plan was so easy to follow and videos helped me process all the info. I looked forward to getting my daily email. Thank Autumn!!!" "It was an awesome experience! I know I felt drastically better from using the tips on eating nutrient dense foods and having that morning drink! I felt more alert, focused, and my body aches went away after just days into it!" "Loved it. Loved the concept. Love all of the research you are doing and sharing. Love the push it gives me to investigate more about myself and my body and what it takes to make me as an individual a more vibrant person." Why Put Your Health on Hold Another Day? Now Is the Time to Reclaim It – At No Risk to You! 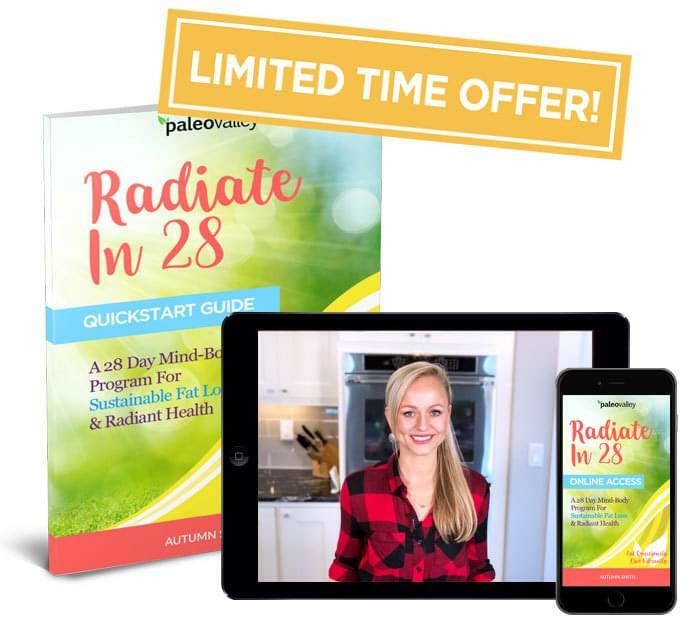 Now it’s time to claim your 50% off discount to the Radiate In 28 program and reserve your Radiate In 28 Quickstart book. So go ahead and join the Radiate In 28 family for 50% off today. Plus, order today and get the Quickstart Book included free. And if you're not 100% satisfied I'll refund your entire purchase! And you can keep the Radiate In 28 Quickstart Book as my free gift just for trying it out. Grab Yo FREE Copy Of Radiate In 28 Today!